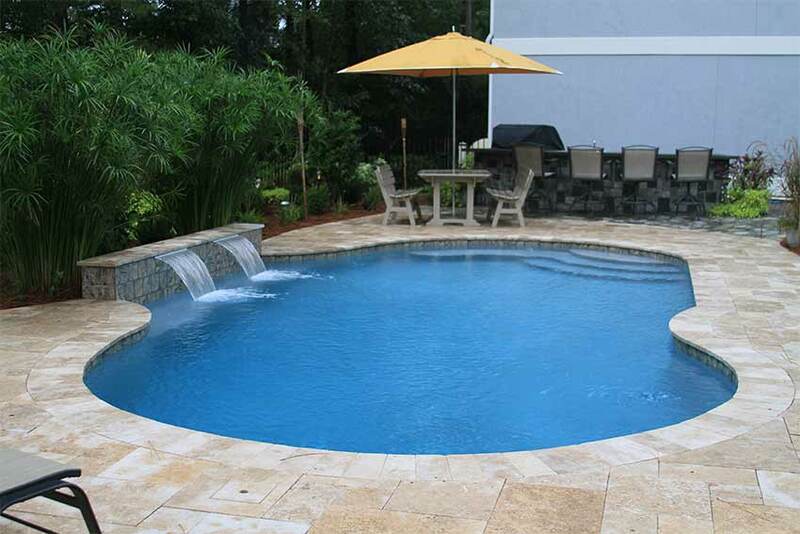 This free form swimming pool with water features located in Pine Forest Country Club of Summerville is designed and built by Aqua Blue Pools. The swimming pool dimensions are 28 ft. 6 in. 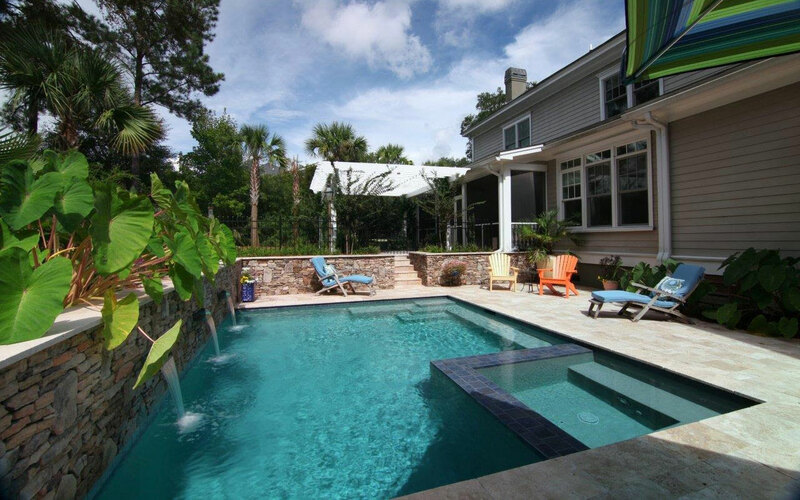 x 13 ft. and the pool area calculates to 354 square feet with a 9,120 gallon capacity. The pool deck area is 422 square feet. Rectangle Swimming Pool located in the I'on Subdivision of Mt. Pleasant, SC. Pool has minimal deck surround to give the space a softer feel. This rectangle swimming pool with water features located in Molasses Creek of Mt. 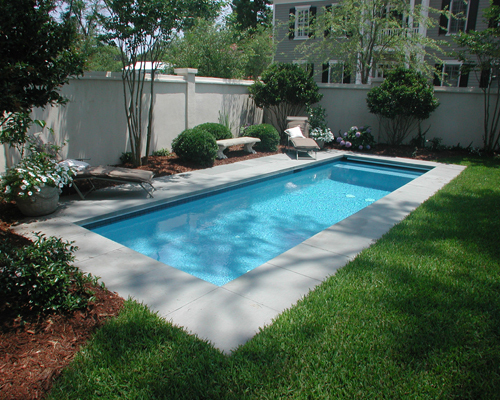 Pleasant, SC is built by Aqua Blue Pools.